A perfect starter home or investment property for students. Walking trails just outside your door. Shows beautifully! 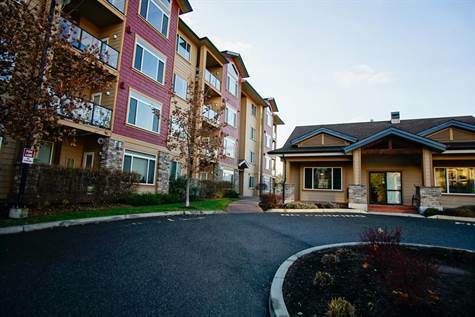 Corner suite with 2 beds, 2 baths, large covered deck facing west. Rent, pet & child friendly, (One pet only, any size-no vicious breeds) one of the most desirable floor plans. Secure parking for one. Close to UBCO. Large storage locker on the same floor. Gas barb-q's allowed. Green space that the unit faces is privately owed and zoned agricultural. Large storage locker on the same floor. You can sit out on the ample deck and enjoy the view and nature. Extra large master bedroom with walk-in closet and roomy ensuite. Popular split bedroom layout. Granite counter tops in the kitchen and bathrooms, clubhouse with gym available. Gas fireplace to cozy up to. This home has it all!